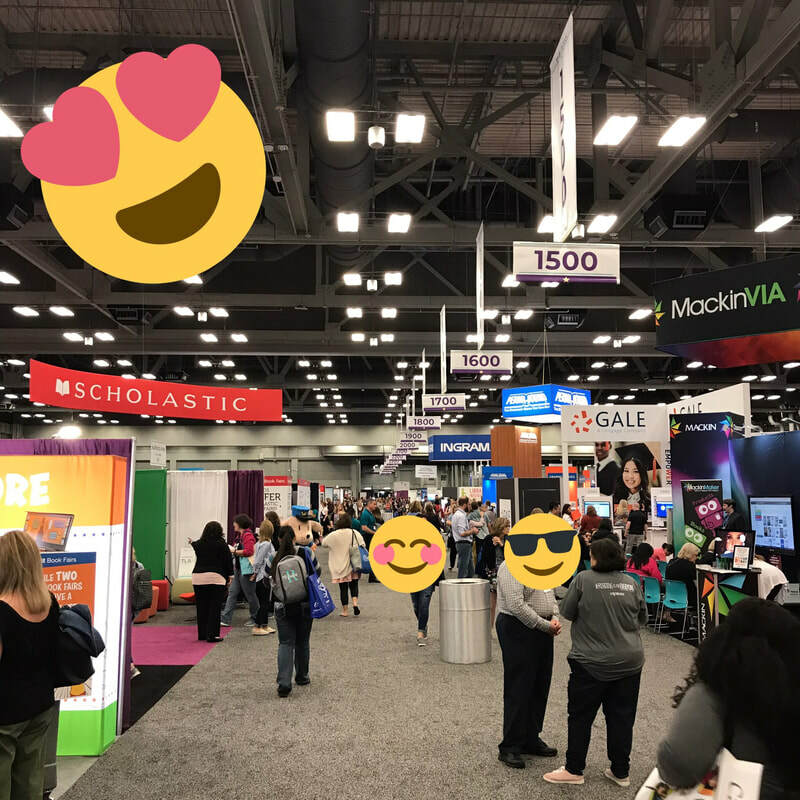 #TXLA19 was four days of people, books, more people, more books, and learning! Lots of fun, but also tiring, especially for all of us introverts. 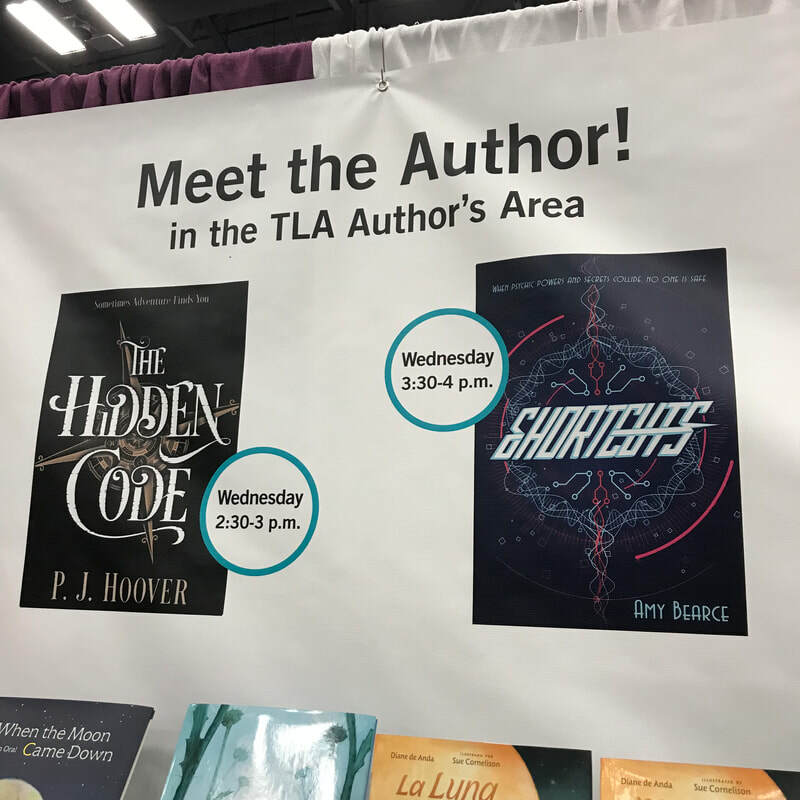 But as I told a friend, if I'm going to be surrounded by people all day, librarians, teachers, and authors are some of my favorite people ever! 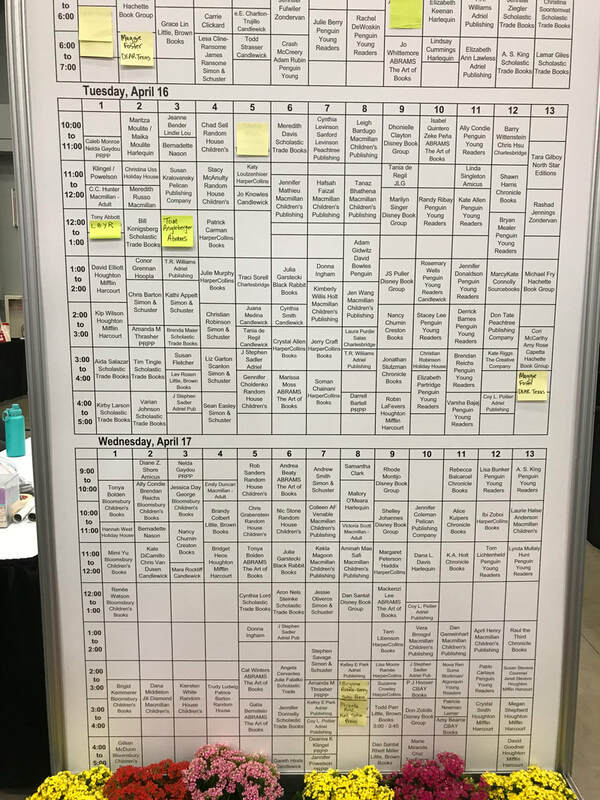 There were so many sessions I wanted to attend, but several of them were in conflict with each other or with events I was participating in. 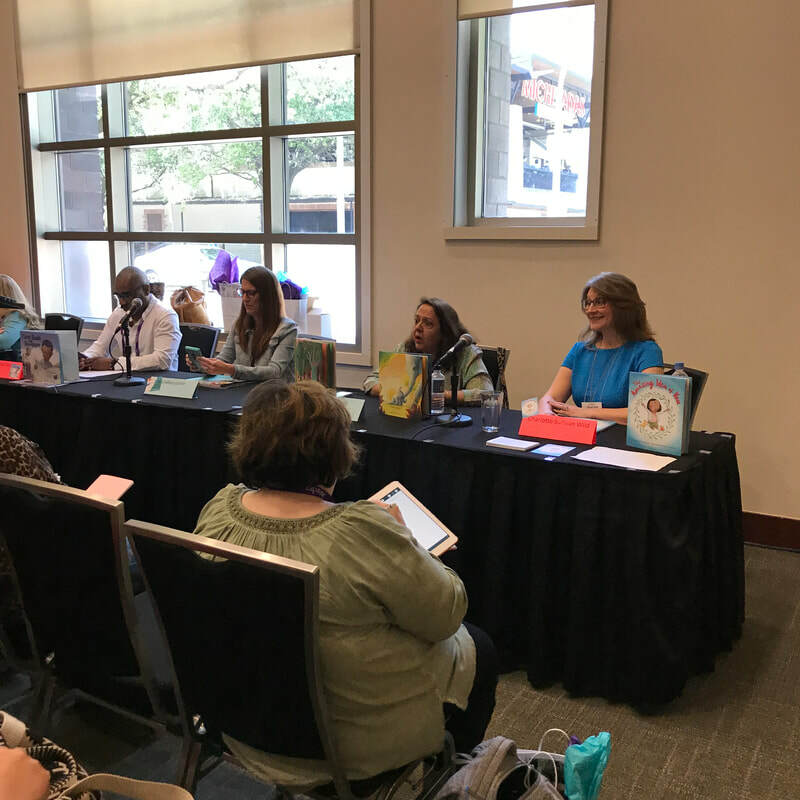 I was fortunate to be included in the Texas Authors Speed Dating event, in which authors rotated among tables of librarians to share about books. 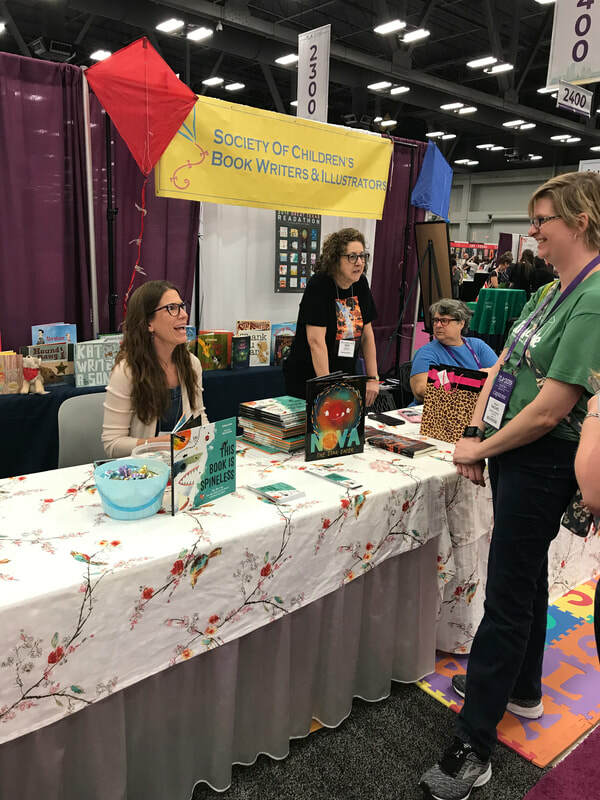 I loved my table mates, two incredible picture book authors, and I met a room full of fabulous librarians. 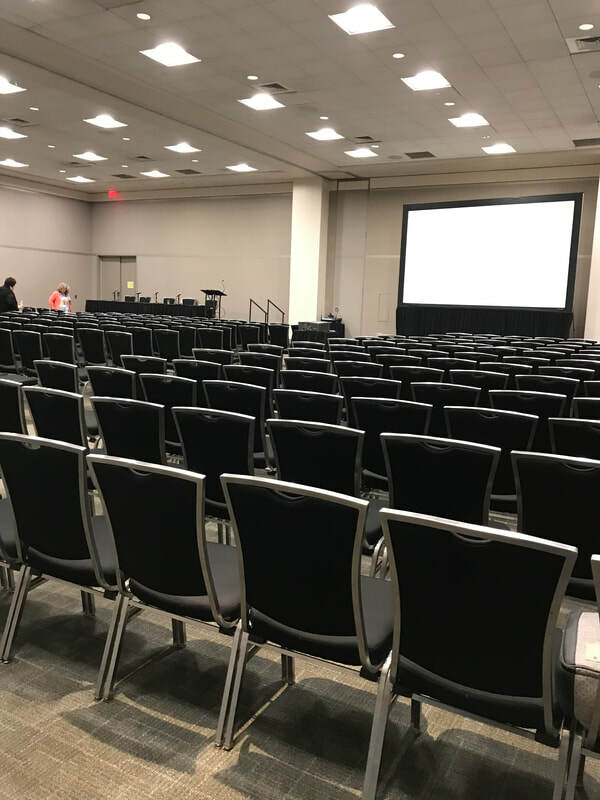 The next day, I was on a panel with Texas middle grade and YA authors--and the room was bigger than I expected! 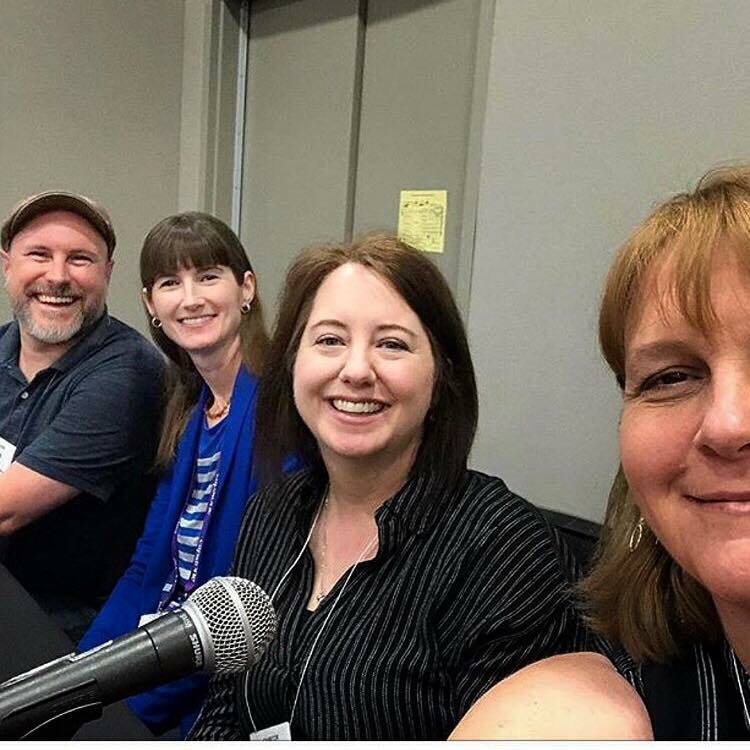 It was my first panel and I was nervous, but everyone was such fun that the time flew by. Before I knew it, I was running to my book signing! 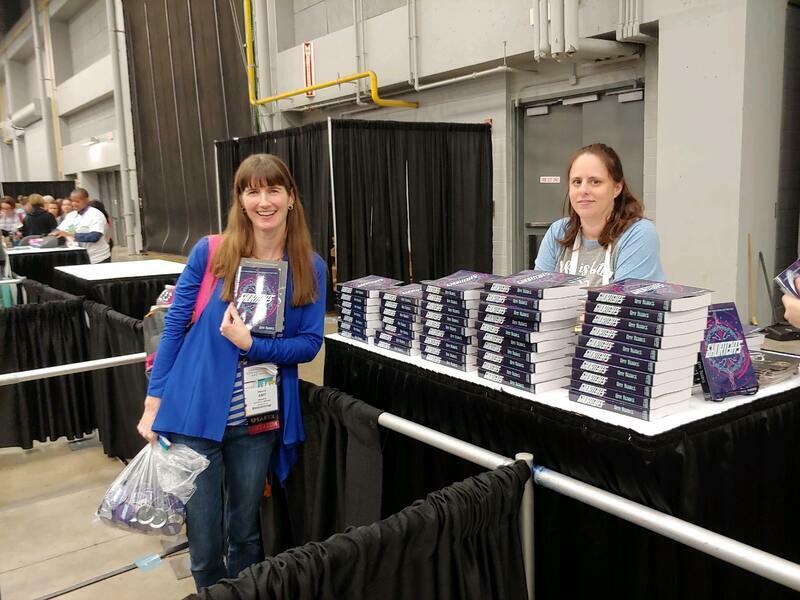 We gave away one hundred signed copies of SHORTCUTS in thirty minutes to librarians and teachers! YAY!! 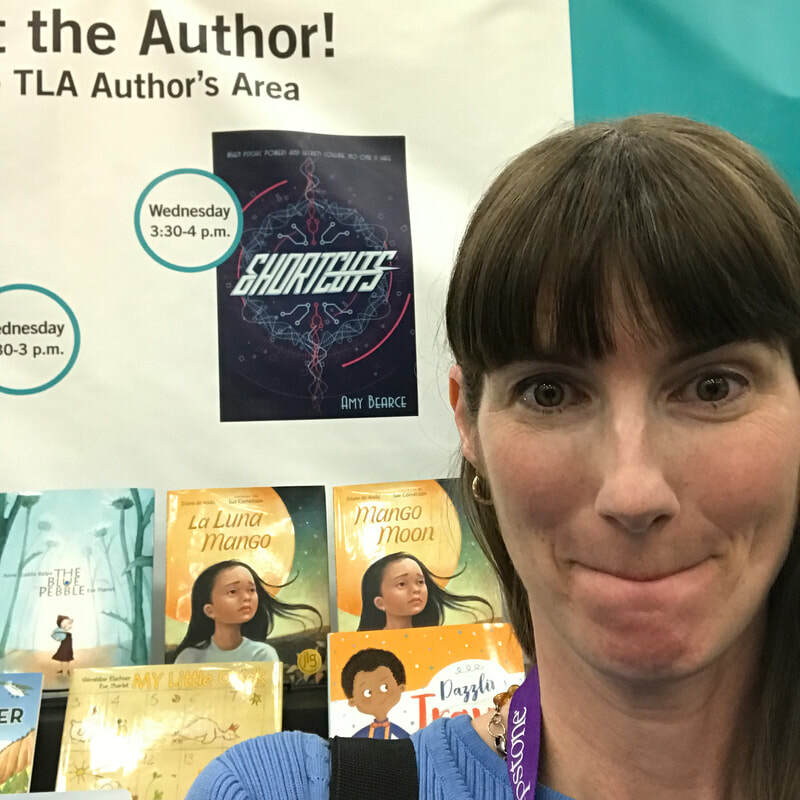 It was such a dreamy moment-- I had walked by those author signing events at the last TLA I went to, when I was in library school, wishing so much that one day I'd be there as an author. And this week, I was! Thank you SO MUCH for being a part of that! Here are a few images from the week. 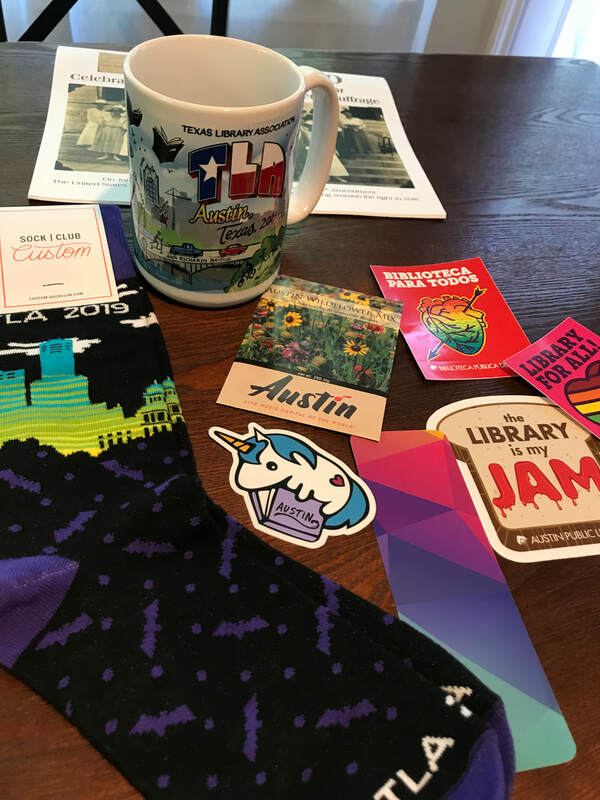 If you've never been to a big conference like TLA or ALA, they are hard to describe, but this year, I noticed that being involved in my writing community made a big difference. The last time I went, I saw only a couple of people I knew, briefly. It was great, but a little lonely. This time, I visited with many people I knew from online and real life, and got to meet new friends through those connections, too. 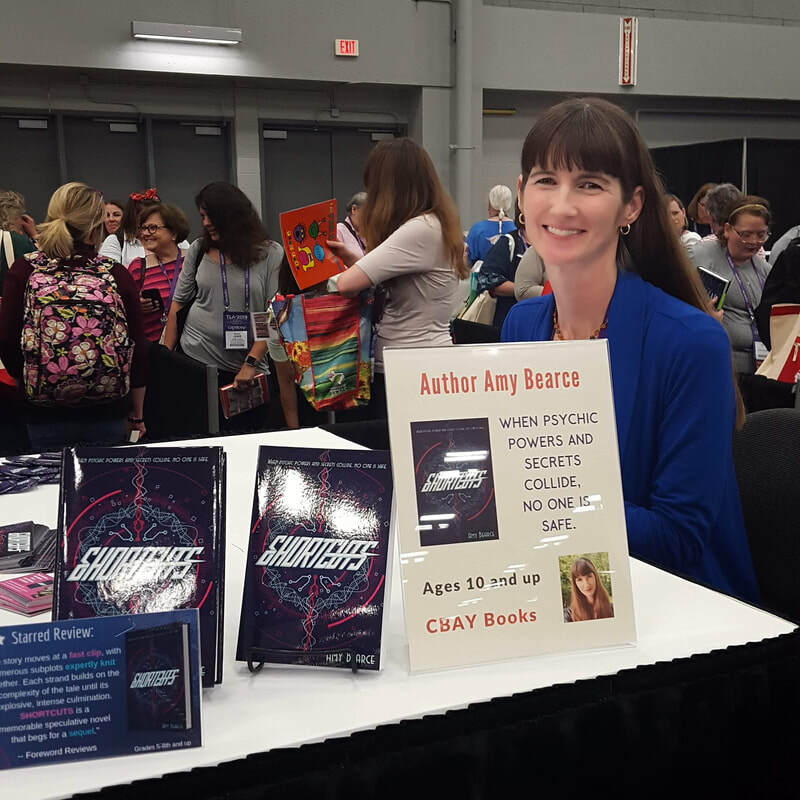 Get involved, and you'll find your writing journey a lot more fun! I attended a delightful workshop this past weekend called THE AMAZING IDEA OF PLAY. 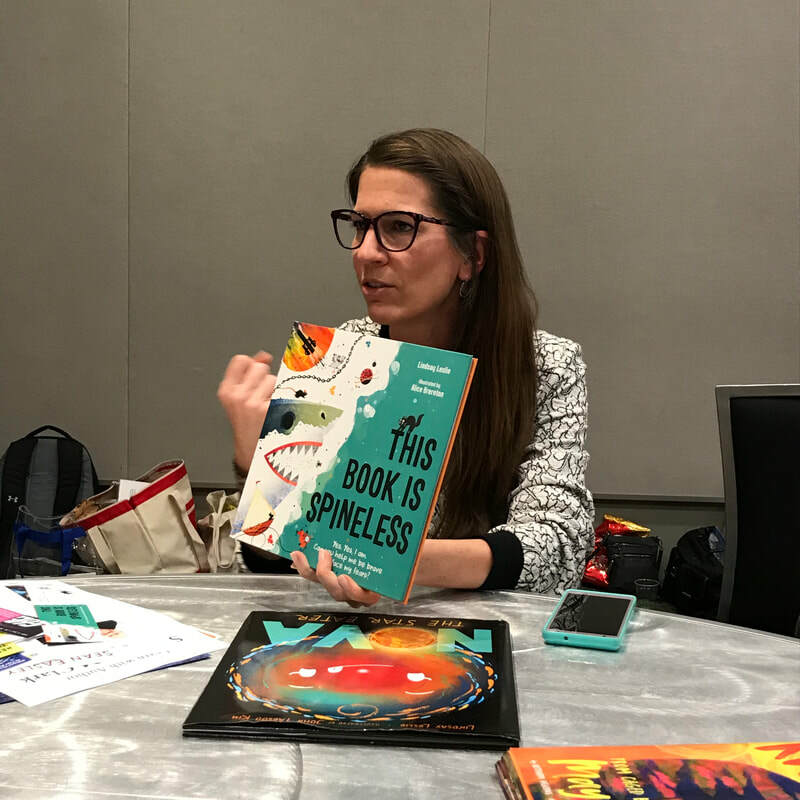 The workshop was led by the fantastic author Charlotte Sullivan Wild, author of the picture book THE AMAZING IDEA OF YOU. 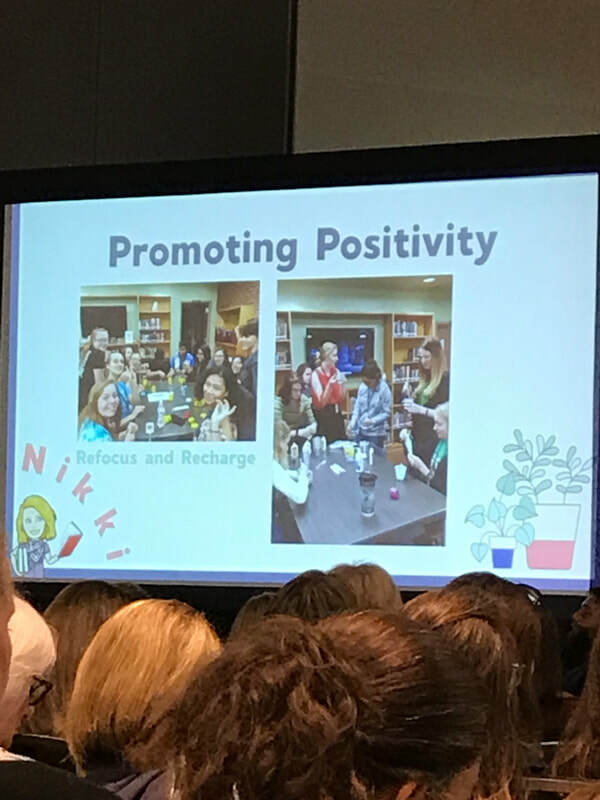 She spoke about the value of play in a creative person's life, and we spent some time playing with art and other practices meant to help us think outside the box. And you can find more information on Charlotte's beautiful book here. I hope you'll give some of these resources a try! If you are looking for books on the craft of writing, I have several that come to mind. I can make of those if that would help anyone. And I also have a video on revision resources already posted over on my Youtube channel. I hope these help you on your journey! Have fun! Y'all, I'm so excited to announce that I am now represented by the lovely Alice Sutherford-Hawes, of Madeleine Milburn Literary Agency! 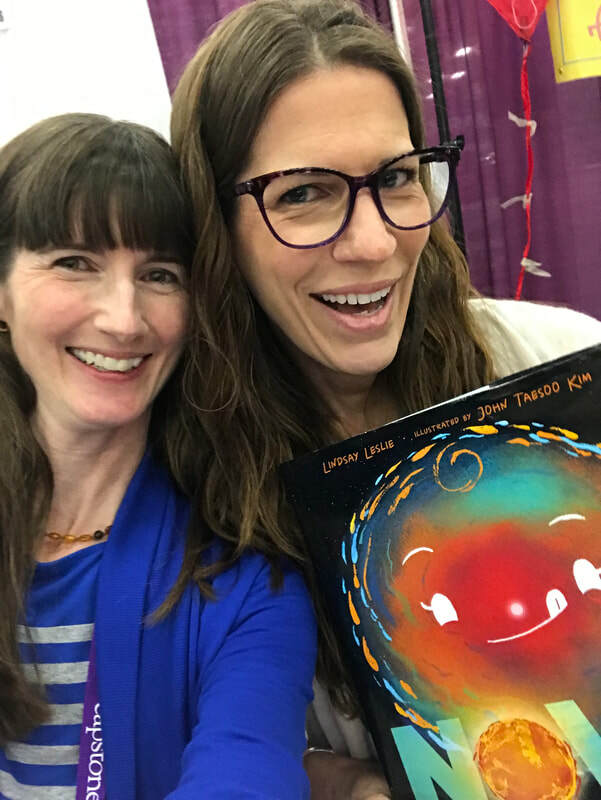 ​I love that Alice values books for tweens as much as I do, and I'm so happy to be working with her for my future projects! 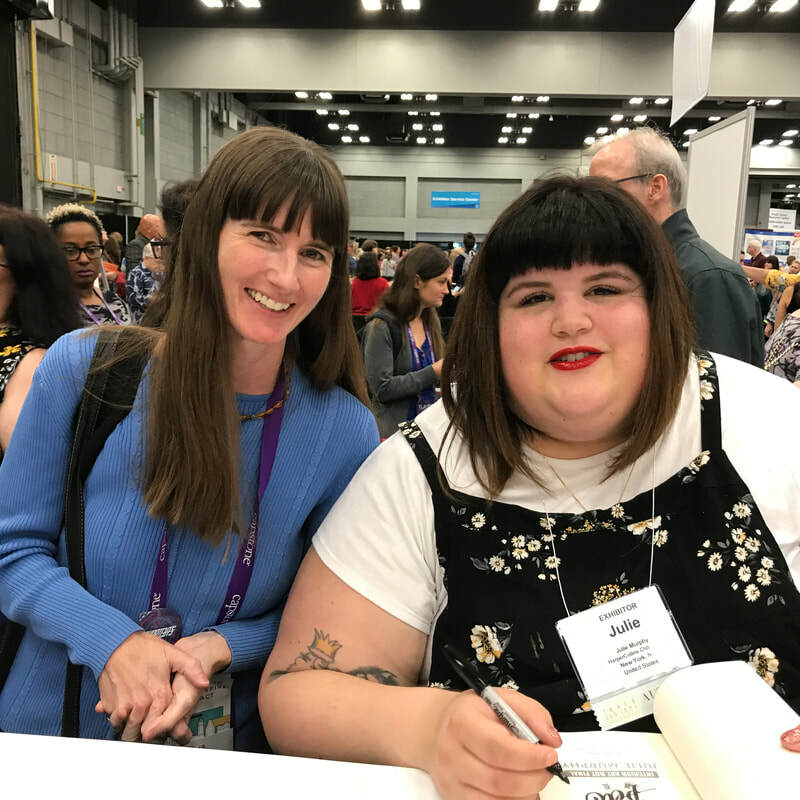 Alice signed me based on my manuscript LOVE LOCKED, which could be described as a tween ANNA AND THE FRENCH KISS meets GROUNDHOG DAY. Hopefully, you'll hear more about that story in the days to come! For today, I'm celebrating the chance to work with Alice and make this story the very best it can be! Working with an agent is a new step in my writing career, and one that I'm thrilled to be taking! World of Aluvia is officially re-released! Original is 6X9. 2nd ed. is 5.25 X 8. All three of the World of Aluvia books have been released as second editions with Snowy Wings Press! They are available in both ebook and paperback. The new paperbacks are smaller in size, more of a traditional MG and YA sizing, with bigger font and more white space for the eyes. It also has a glossy cover, and I love the way it feels! Getting to the new paperbacks is still a little tricky on Amazon (U.S.)... if you follow the Amazon paperback, it'll take you to the new paperback editions, but if you click on the ebook and then back again, it'll redirect you to the old editions of the paperback. We're trying to get that straightened out. It does appear that if you try to put the book in your cart at that time, it will provide a warning that you are about to purchase the original edition though you are looking at the new one. There is a link in that warning that will take you to the new edition, so there's that at least, and I put the new links in an author note on the original edition's page, so readers can find the edition they want. And here is the link to my announcement video over on Facebook! If you are a book reviewer, I do have some e-arcs to give away in celebration of the new editions, so give me a shout via my contact form or over on Facebook, IG, or Twitter. Thanks! 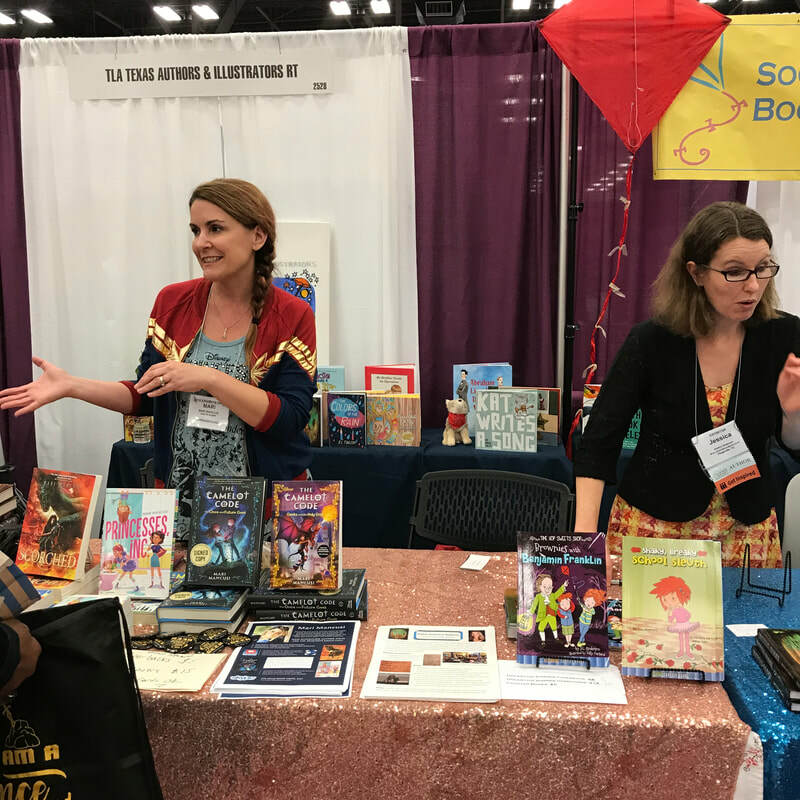 World of Aluvia Moving to Snowy Wings publishing! ​You may have noticed that my ebooks are not available currently! But they will be back soon! ​I'm in the midst of moving my World of Aluvia series from my original publisher to Snowy Wings Publishing! 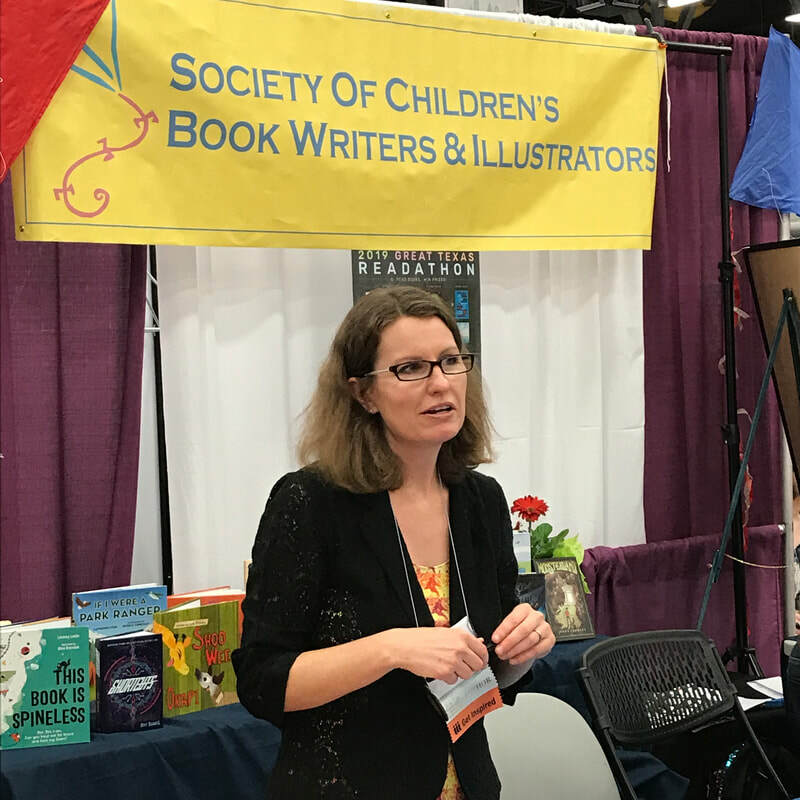 There are a number of reasons for this, but I'm so happy to be joining Snowy Wings, which focuses on middle grade and YA fantasy and science fiction! Perfect! My first three books will be republished with them soon. They gave me a lovely welcome on their website today! The e-books will be republished January 22nd, followed by the paperbacks of each shortly! In the meantime, the original paperbacks will remain available until they sell out on Amazon and possibly other vendors. But I am so excited about these new editions! They will be a more traditional YA/MG size (5.25 X 8) with more age-appropriate font size and spacing. They will, however, have the same beautiful covers, so hooray! The list of books mentioned are in the comments of the video, too. Don't like reading? Try these books! Hey 4th-8th graders! Today’s post is for you! Once upper elementary school hits, life gets so busy that juggling your schedule becomes much harder. According to researchers, more and more of you are choosing not to make time for reading. For your teachers and parents, this can be frustrating. Maybe it’s frustrating for you, too. Luckily, I’ve got a few books to recommend that I’m willing to bet you’ll enjoy. 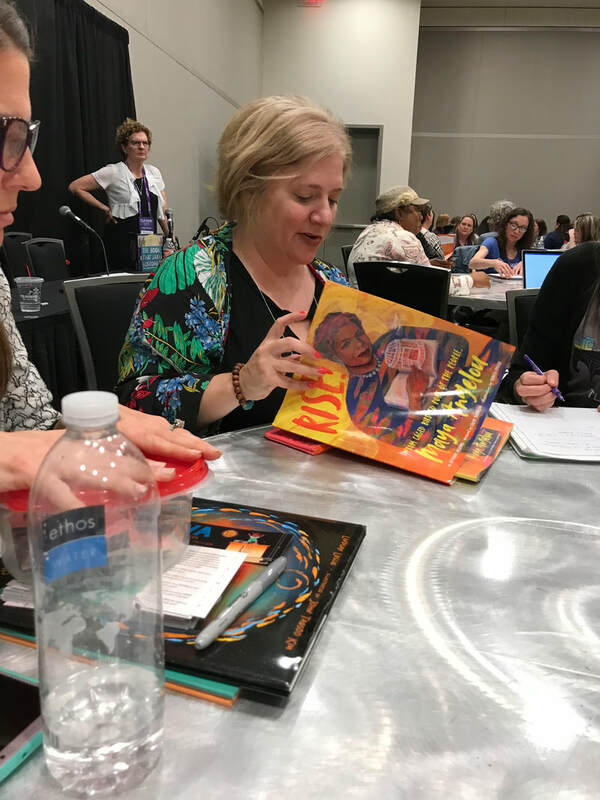 My recommendations have nothing to do with Lexile scores (an often misused tool) and everything to do with fabulous stories that lots of kids have loved. These are tried and true favorites. If you need a book for class—or just for fun—I dare you to try one of these. Give it to chapter 3 and then let me know what you think. 1. Anything by Raina Telgemeier. ​They are all super popular: Smile, Sisters, Drama, Guts, and Ghosts. Graphic novels of any kind are a good bet. 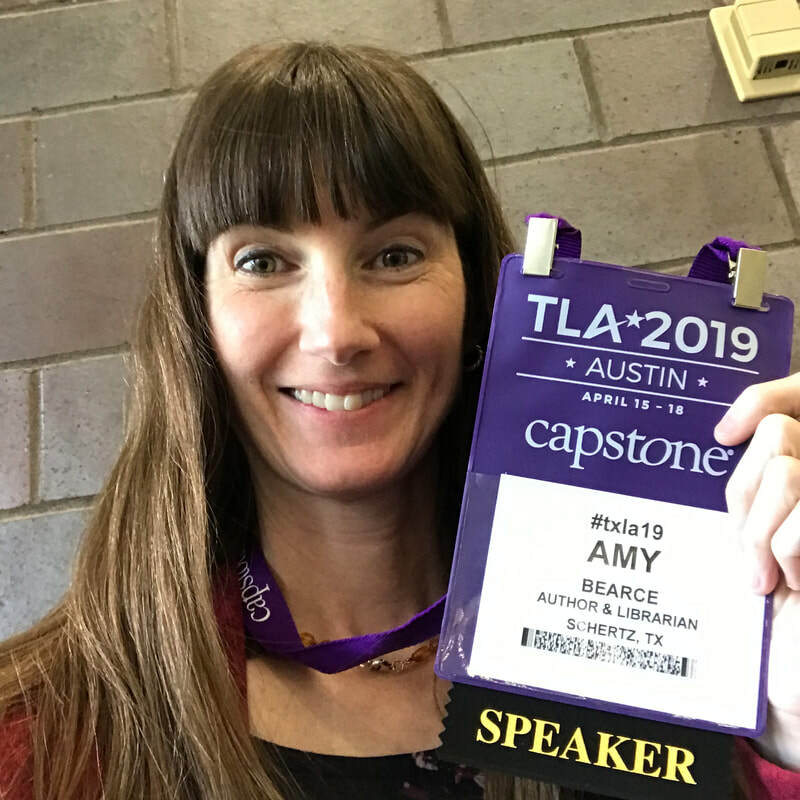 If your teacher balks at allowing graphic novels in class, invite them to read my article about the benefits of graphic novels. 2. Anything by Rick Riordan. 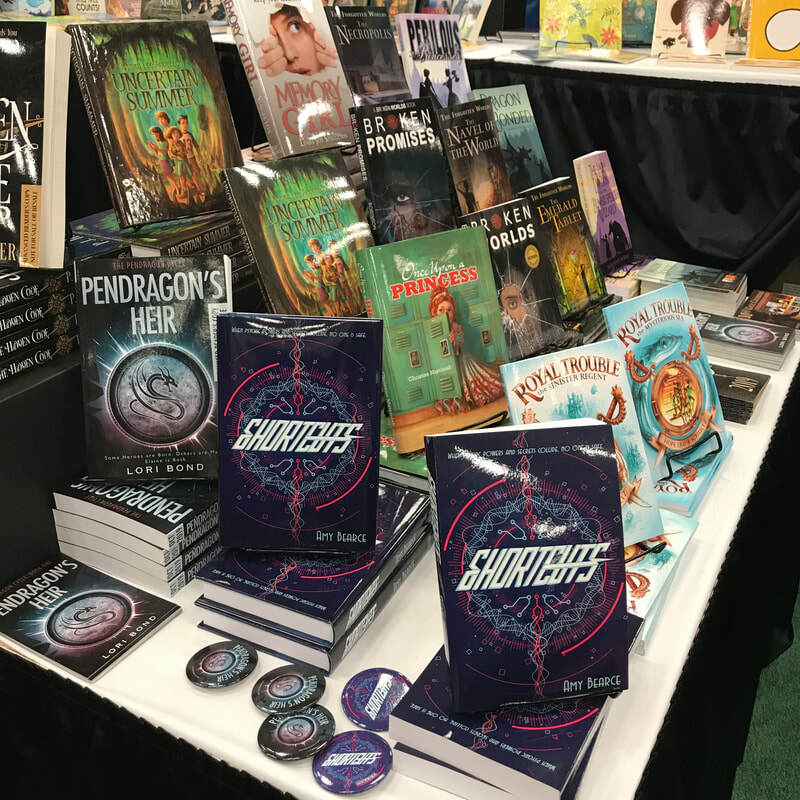 ​ The Lightning Thief is the first book of his first middle grade series, but if you are in middle school, you might prefer starting with Book 1 of The Heroes of Olympus series. The characters are older, and the storyline is more complex. If you’ve already devoured all of his books, consider another upper middle grade fantasy. 3. The Last Kids on Earth, by Max Brallier. Humorous tales are always a win, and Last Kids on Earth has the bonus of some inside artwork. Plus ZOMBIES. ​See also: Wimpy Kid, Big Nate, and I, Funny. 4. Love That Dog and Hate that Cat, by Sharon Creech. Short, easy-to-read, and totally gripping, Sharon Creech tells this story in a one-sided conversation made of poems. Even my students who claimed to hate poetry loved this book and its sequel. 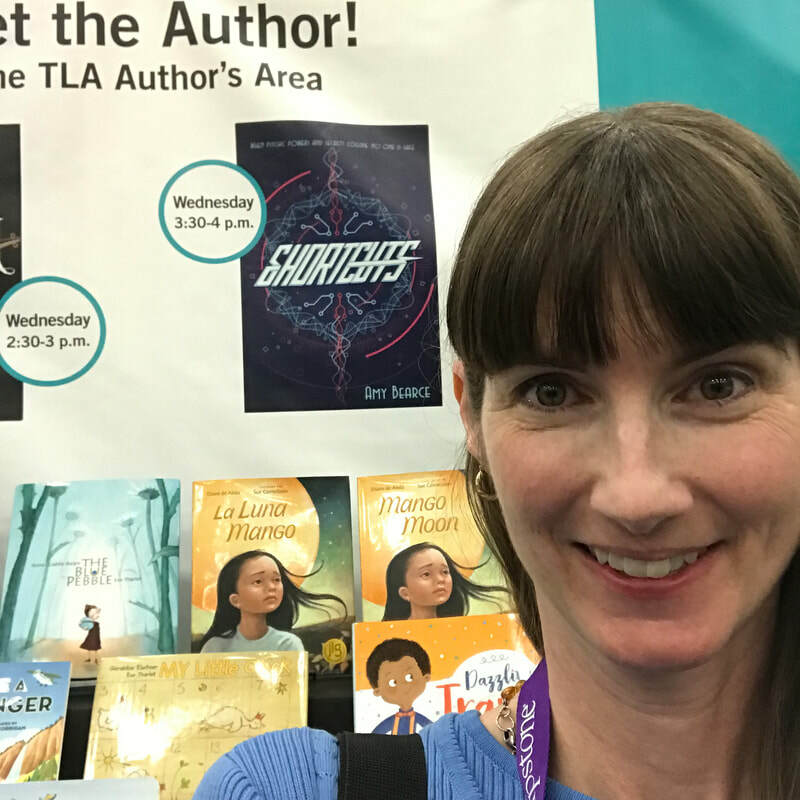 Other novels-in-verse books to consider as well include The Crossover by Kwame Alexander (especially for basketball fans) and Mountain Dog by Margarita Engle. 5. Scary books are constant favorites. ​You don’t have to stop reading scary stories once you outgrow Goosebumps. Try a novel by Mary Downing Hahn—she’s the queen of ghost stories for young teens. If you’re ready to kick it up another notch, try Coraline, Doll Bones, or The Night Gardener. If you don’t love a book within the first three chapters, it's okay to abandon it and try a different book. If you find yourself abandoning books all the time, though, consider asking your librarian or teacher for some advice on books you might enjoy. But I would be surprised if none of these worked for you! Bonus— If you have younger siblings, try reading aloud to your younger brothers and sisters. No, I’m not kidding. Books are magical, and little kids will remind you of this truth if you've forgotten. Watch their eyes sparkle as you read to them. 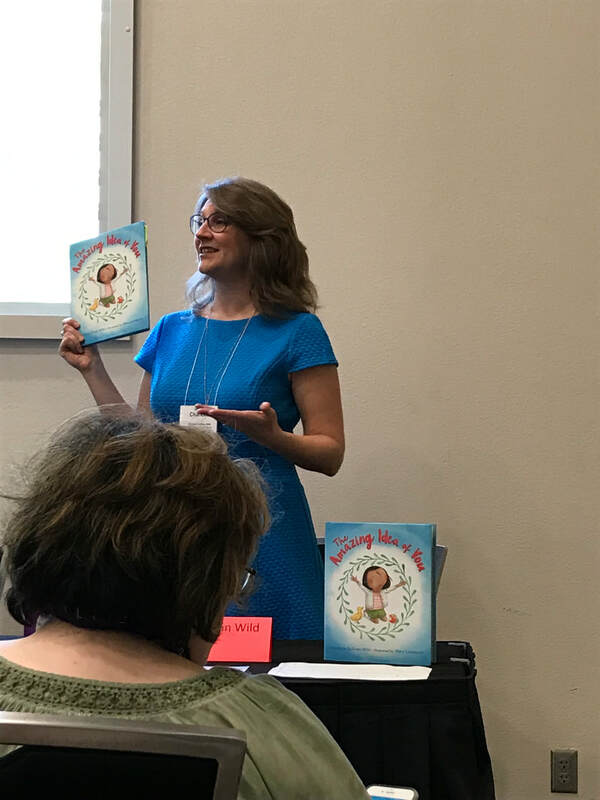 Here are some great books for babies, toddlers, and preschoolers, as well as reading tips and information for families about building a love of reading. The adults in your household will probably appreciate both the linked info and your sibling sweetness. There is a book waiting for you right now! A perfect book for you! A good book you'll love--you just have to give it a chance! ​School’s back in session, and with it, comes the nightly homework. Test scores. The dreaded report card. As if it wasn’t enough that you spent all day in class, now you have to show you’ve been paying attention! For those of you new to middle school or high school, you may be finding that the standards jumped a lot higher this year than what you’ve been used to. Maybe your grades aren't where you'd like them to be. Don’t worry, though. Auntie Amy’s got your back. Follow these five tips, and report card blues will be a thing of the past. ​When you have seven or eight classes in a day, with seven or eight different teachers, it can be easy to get a little lost. In fact, it can be easy to miss assignments entirely. But consider this: If you earn two 100’s and one zero, your grade averages to a 66.6. As in, one failing grade can drag your A average way down, into a hole you’ll be hard pressed to dig yourself out of it. Remember, a 0 looks like a hole for a reason. Don't earn 0's. The solution? Use your daily planner and keep papers in color-coded folders. If you always put your history homework in the green folder (or blue, or red, or whatever says HISTORY to you), then when it’s time to turn it in, you’ll always know where it is. And if you don’t have homework? Write THAT down in your daily planner. A blank space could mean you forgot to write down the assignment, so always put something for every class, even if it’s “no homework tonight!” Feel free to draw some unicorns on the agenda. Unicorns are never bad. ​There are a lot of ways to do this, but my favorite is an adaptation of Cornell Notes. I don’t use the summary part on the bottom, and I leave about 2/3 of the page for notes and just 1/3 on the left for noting key words, and summarizing. You should be taking notes even if your teacher doesn’t direct you to—by high school, they expect you to take charge of your own learning. 3. Study a little every day. Your class notes get to play double-duty! If you simply review your daily notes, spending maybe 10 minutes per class, you’ll be way ahead. Take it one small step at a time. Your memory benefits from repetition and the sooner you see the material again, the more likely it will be encoded in your long-term memory. Transferring key words to notecards is also helpful, especially if you are taking a foreign language. ​Know what doesn’t work for the long term? Cramming. Trust Auntie Amy on this one. Yes, you might be able to survive a test by studying furiously the night before, but you are making things much harder for yourself when you have to take end-of-term tests or when the material is something that you will be building on in the next chapter, which is often the case for math, science, and languages. ​Your teachers are just people. I realize that if you are shy, the thought of raising your hand in class might feel impossible. If that’s the case, send an email after class or write a note and drop it off on the teacher’s desk, but if you don’t understand something, you must ask the teacher before the test. They will love you for doing so. They will be amazed and impressed by your willingness to learn. ​And if you have the question, at least a handful of other students do, too. Be brave. Ask the questions. 5. Find a study buddy. Sometimes, another person can keep us on task and motivated. Of course, choosing the right person matters. Don’t choose the kid who never turns in their work, but if there’s a person who also seems to care about actually learning the material, don’t hesitate to ask if they want to study for a big test together. Take turns quizzing each other. Look at each other’s notes—one of you might have heard something the other missed. Having to explain something to someone else is a tried and true method of learning material. Remember that just because material feels familiar, it doesn’t mean that you know it. Until you can explain it in your own words to someone else, without looking at your notes, you have more studying to do. 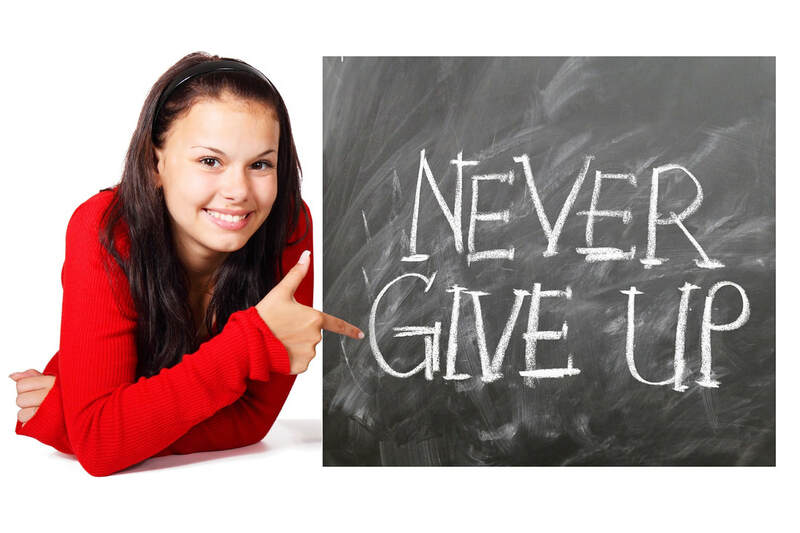 Thanks for joining me for Auntie Amy's Top 5 Tips for Succeeding in School. Simple doesn't mean easy, but it will work if you put your mind to it. Remember, you also need to eat well, get plenty of sleep, and enjoy time with friends and family, too. School is just one part of your wonderful life. Now, go get yourself some folders, an agenda, some notebook paper, and rock out those classes.